At the peak of America’s Gilded Age, along the Jersey Shore, a new era of development was about to begin. In Spring Lake Beach, a group of visionary eastern industrialists partnered with a number of influential local businessmen to form the Spring Lake Beach Improvement Company with the intent of creating a seaside resort. On its oceanfront they erected the Monmouth Hotel and, in July of 1898, a group of these gentlemen met to discuss the formation of a golf club. The first clubhouse was the former home of Captain Forman Osborn located on Mercer Avenue in Spring Lake. As the young club prospered and development of the Spring Lake area accelerated, the founders investigated potential new locations for an expanded 18-hole golf course. In September of 1909, club founders formed the Spring Lake Real Estate Company to purchase the nearby 118-acre Thompson farm on which the new course would be built. Soon thereafter an additional parcel of 30 acres was added to the complex. 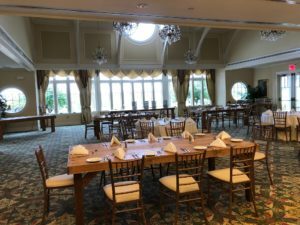 The club has been fortunate over the years to have played host to a variety of major golfing events including the first professional tournament of note on the Jersey Coast, “The Spring Lake Invitational of the 1940’s,” a USGA Senior Women’s Amateur Championship and two NJSGA Open Championships. Each of these events has been a wonderful experience and they have collectively added to the rich golfing history. Position Specifics & Requirements: The Club is looking for a talented culinary professional who is “innovative, creative and appropriately trendy while fully understanding and respectful of club traditions and culture.” New Jersey is the Garden State, known for seasonal fresh, regional cuisine, fresh fish/seafood and traditions are core to menu programing success. Membership palates are diverse and well-traveled and yearning for a culinary leader to tantalize their taste buds. 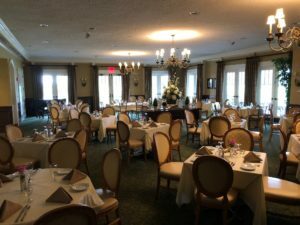 Spring Lake GC is extremely busy in season with multiple events and restaurant operations going on at the same time. The selected individual will have a proven track record of executing at a high level and the ability to multi-task and ensure operational success in a bustling environment. The position of Executive Chef is extremely important to membership. 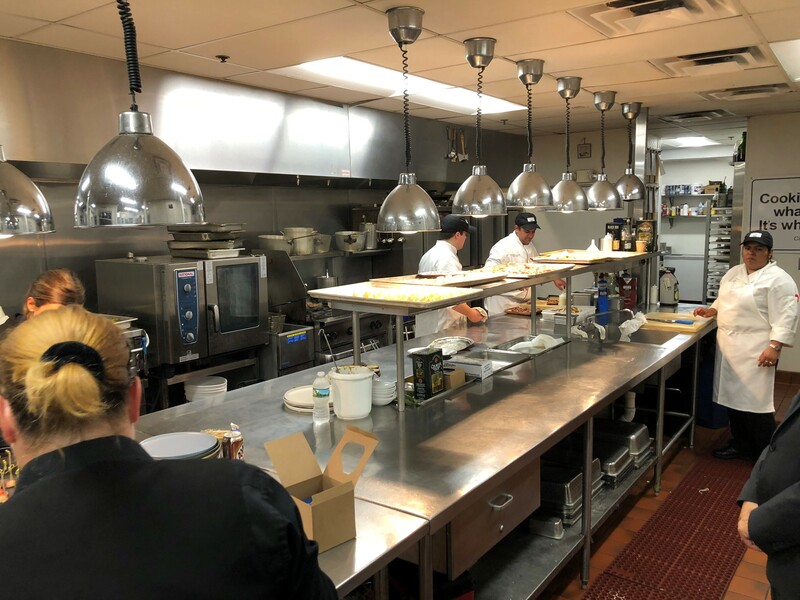 Management is looking for a partner that together will advance the culinary standards and continue to improve on the details. Success in the position starts with a genuine passion for cooking and love of food. The Executive Chef must have a presence, relationship minded and a hands-on leader directing and directly supervises. He/she cooks where items require skillful preparation and constantly mentors a team hungry to learn and grow professionally. Has excellent and diverse culinary skills and able to meet the high expectations of members. Is innovative, steadfast on standards, and creative with fresh ideas and utilizing quality, local products. Must be a skilled administrator, business savvy and able to accurately purchase, maintain inventories, and track costs. Working knowledge of ChefTec is a PLUS. Is a problem solver, team player and sees the big picture. A capable and respected leader by all, able to build an effective and efficient kitchen team that works well together and with all. The Executive Chef is expected possess a personable character, on that interact with members and guests. Organized and detail-oriented with purpose driven approach. The successful candidate will be a committed leader able to develop a strong culinary team and maintain a positive team spirit. The successful candidate will be a motivator committed to professionalism, working beside staff, constantly developing their abilities through hands-on training, coaching and caring. 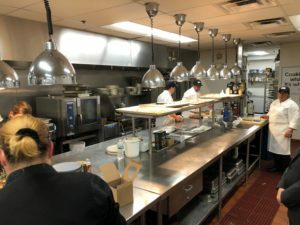 The Executive Chef will be highly involved in the budgeting process, and be responsible for labor projections and food cost. 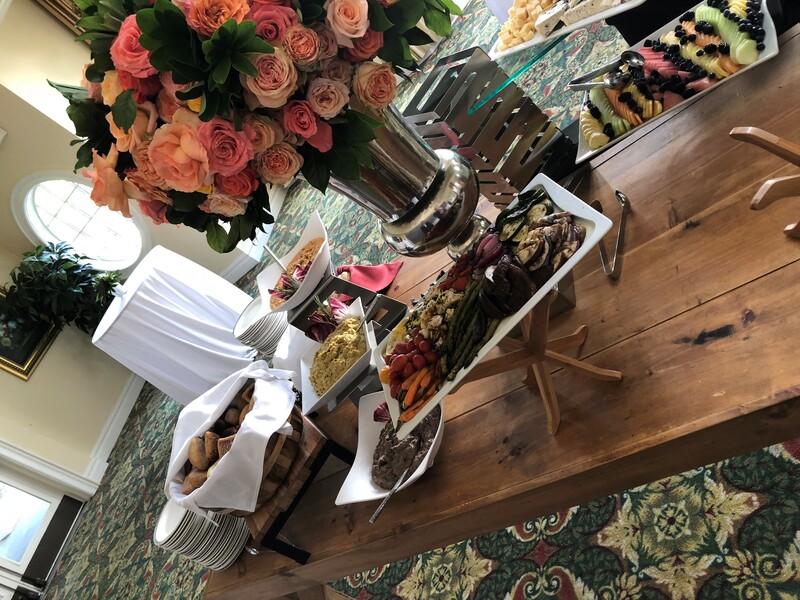 The Executive Chef interacts enthusiastically with, and is visible to membership, particularly at major holidays, and also available to the membership for consultation on menus for private events. Responsible for implementing dynamic and innovative menu development programs balancing current trends and Club classics. Ensure successful execution and consistency in all food and beverage outlets using written SOP and recipe standards. A high-energy individual with a strong work ethic. 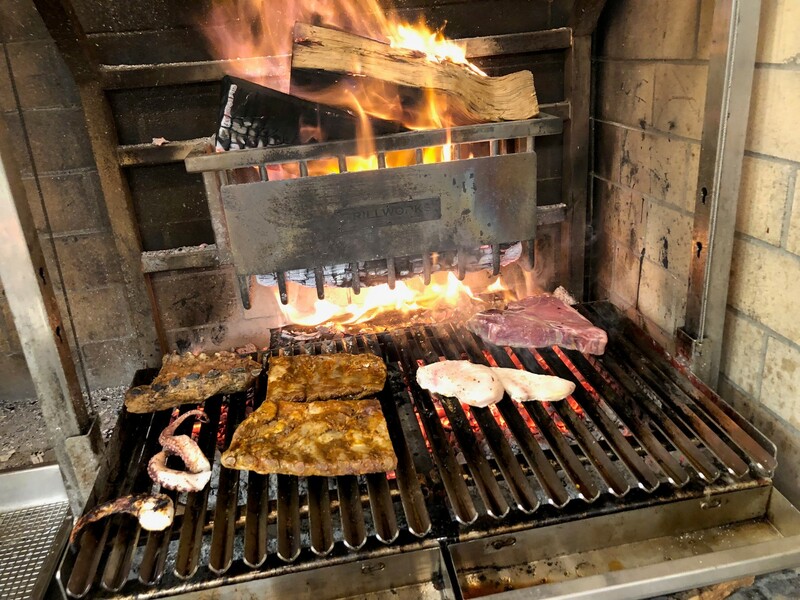 A committed and dedicated culinary professional that recognizes the demands of a seasonal, premiere country club. Demonstrates good judgment, problem-solving, and decision-making skills with required urgency. The Executive Chef participates at the House Committee (F&B) meeting as needed. The Executive Chef evaluates job performance of culinary staff; coaches and counsels to ensure staff is on track. Ensures that the highest standards of sanitation, cleanliness, and safety are maintained throughout all food service areas. Trains team in exemplary food service practices and ensure all necessary certificates, licenses and qualifications for operation are maintained. 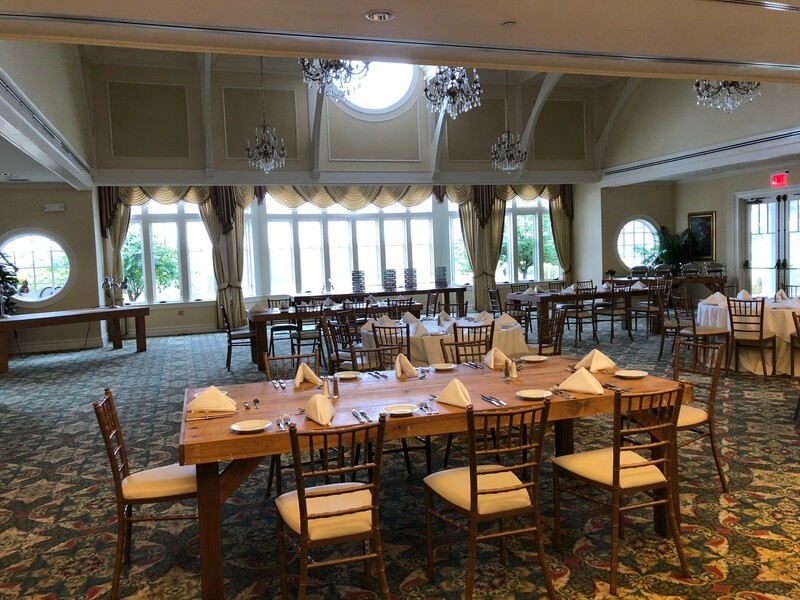 The Executive Chef will be instrumental in advancing menu programing, including kitchen functionality and flows for the clubhouse renovation project currently under study. Annual food sales $1,838,417; total F&B Sales $3,000,000. (F&B operates to break even or with a small profit). The actual food cost is in the low 40s with a sales mix of 47% ala carte and 53% banquet. 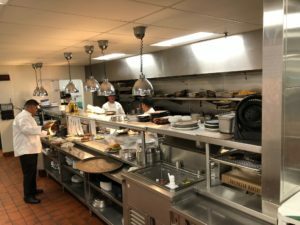 There are 25 plus culinary employees including two (2) Sous Chefs and a Pastry Chef. The Chef does the Purchasing. The Club maintains one rambling Clubhouse facility. The Club operates year-round with peak business cycle April – December. The Executive Chef reports directly to the General Manager/COO. The departing Chef was with the Club seven (7) years including two years as Sous Chef. Locker Room – 48 serving breakfast, lunch and dinner (6) days per week. Lounge – 60 seats serving breakfast, lunch and dinner (6) days per week. Grill Room – 100 seats serving breakfast, lunch and dinner (6) days per week. Patio – 129 seats and serves breakfast, lunch and dinner (6) days per week. Ballrooms – combined can accommodate up to 375 seated guests for banquets and special events. 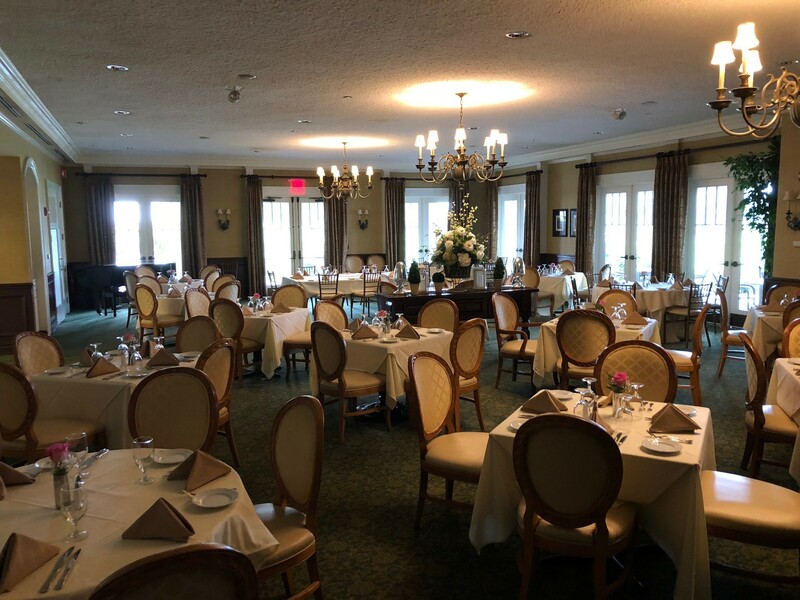 The Club has four smaller Private Party Room with seating up to 80. 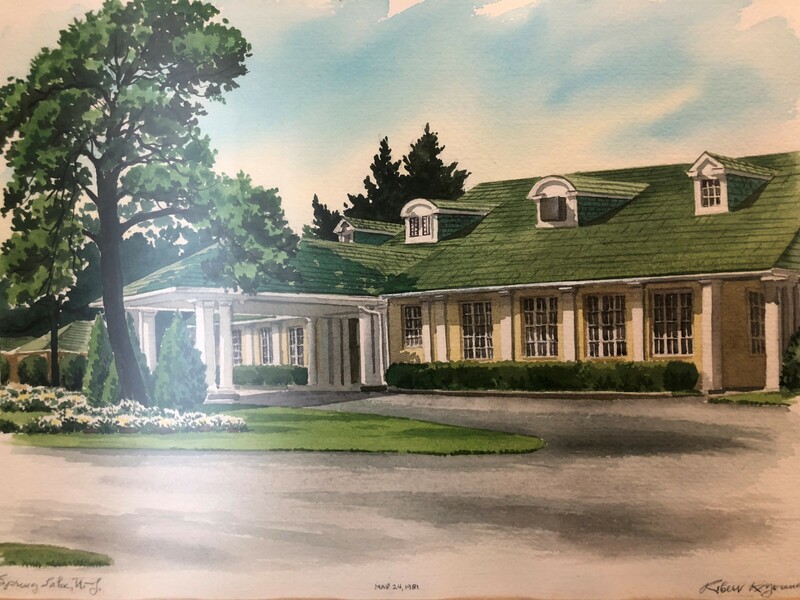 Note: The Club is in the process of undertaking a major renovation targeted for 2020 that will focus on the dining venues, outdoor dining, patio and kitchen functionality.